If you’re like many modern families, you spend plenty of quality time at home. It’s important that you have the right furniture to create a successful household for yourself and your family members. You need everything from one durable dining set to several stylish bedroom sets to complete your home design. But how can you tell you’re buying the right furniture for your needs? What can you do to make sure you’re not forgetting any pieces or buying too many? 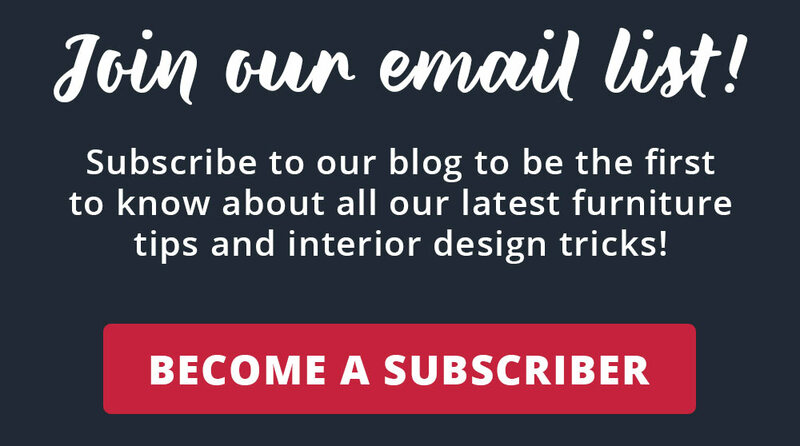 This week on the blog, we’re teaching you exactly how to furnish your home for your family. We’ve gone the extra mile to include different recommendations that can be adapted for different family styles. From nuclear families to blended and extended families living under one roof, there are plenty of ways to make your home fit your needs with the right furniture. First things first! Before you can assess your furniture needs, you need to start with the size of your home and the number of people living in it. Consider how many bedrooms you have, how many people will share bedrooms, and how many seats you need at your dining table. Some secondary rooms to consider include living spaces. How many rooms do you use for entertaining? Some homes might have one large living space, while others have a formal living room and a family room for watching TV. Think about how your family interacts with each room in your home as you make a furniture plan. It’s important to plan how you will furnish your home for your family one room at a time to get the best results. Keep reading to learn the best way to approach each room in your home. No matter how big your living room, basement, or any other core entertainment space is, there’s one rule of thumb to follow: Make sure there’s enough seating for everyone in your home. This is one of the spaces you’ll be spending the most time with friends and family, so it’s important that your furniture allows you to gather together comfortably. For smaller families, a large sofa or sectional will do the trick. Learn how to shop for the perfect couch to fit your needs here. For blended and extended families, two sofas and a few accent chairs are a solid solution. Ottomans, stools, and fold-out chairs are great pieces to add extra seating in an instant. Tuck the fold-out chairs in a closet when they’re not in use. Use several stools and a plank of wood to create a DIY shelf or table when you don’t need the extra seats. 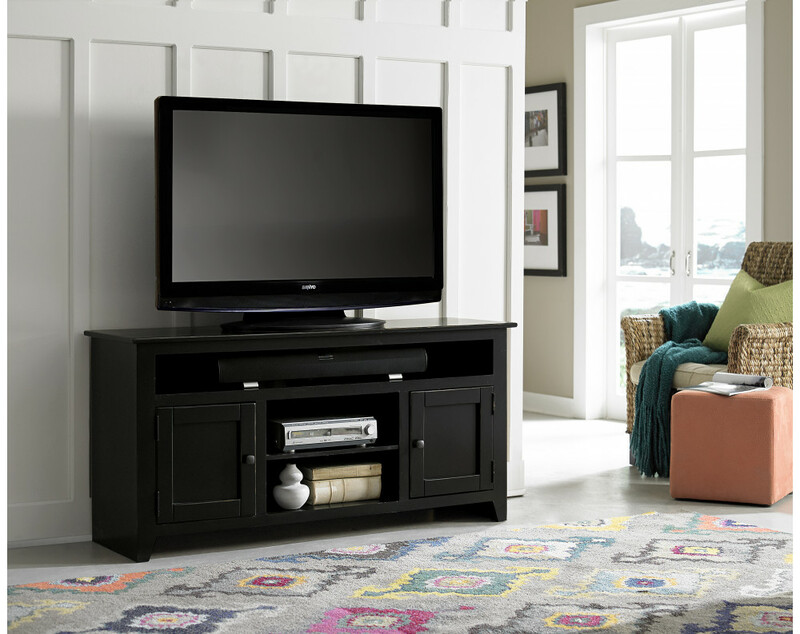 There are plenty of ways to get creative with your living room furniture. For more inspiration for furnishing a living room, click here. Do you have a pet-friendly home? 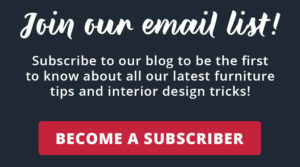 Read about pet-friendly furniture choices over on the blog. 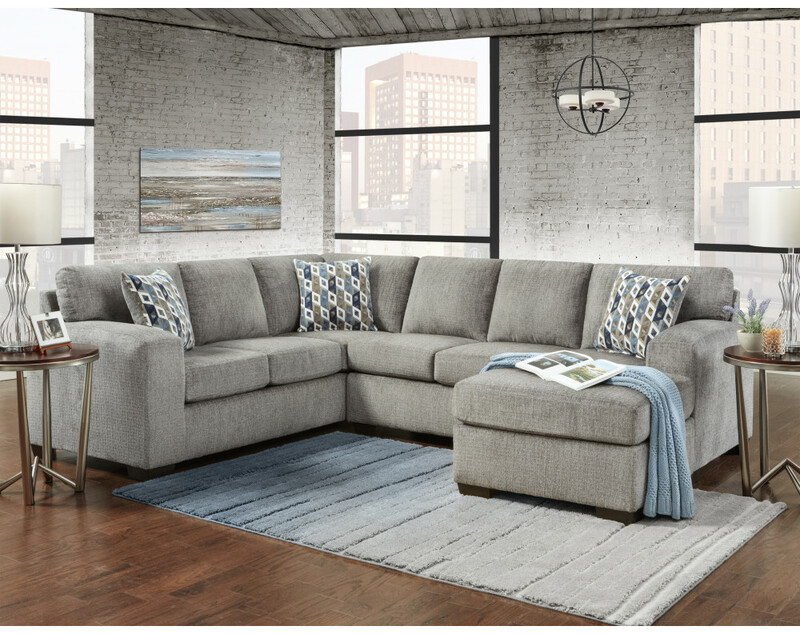 Visit your local American Freight to shop the latest living room styles. Whether you share meals around a formal dining table or you just need a dining set that will fit all your loved ones, it’s easier than you may think to get a table that works. Thanks to the rise in farmhouse-inspired home design, many modern kitchen table sets feature benches. We love to recommend pushing a long table against a wall with the bench tucked underneath. Simply pull the table out and use the bench when you need more than four or six seats, depending on the set. Another space-saving option is to choose a table with storage in the base. 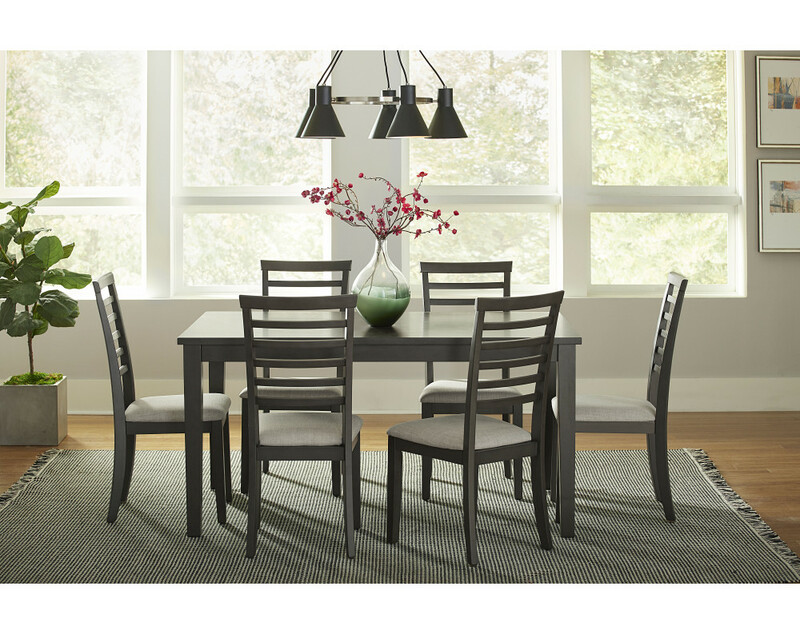 Check out the Conner Dining Collection for some dining set inspiration. You could also choose a folding kitchen table for eat-in kitchens. Just like in your core living room, it’s important to find a dining set with enough spots for everyone in your household. We offer standard height and counter height tables at American Freight Furniture and Mattress. Stop in today to browse our wide variety of styles. Choosing the right bedroom set for each room is essential for the style and storage of the room. Be mindful of headboards, drawer space, and the style of the set while you shop. You don’t want to choose a bedroom set your kids will grow out of quickly or a sleigh bed style that you can only fit in one spot in your own master bedroom. Sophisticated bedroom sets are easy to find. But how do you know what you need? Consider your current bedroom furniture and measure the size of your bedroom. If you need a dresser or two to store the bulk of your clothes, put bedroom sets with lots of drawer space high on your priority list. On the other side, if you primarily utilize your closet for clothes storage, consider a larger bed and fewer accent pieces to meet your needs. Don’t forget to invest in a quality mattress. After all, you sleep for more than one-third of your life! Complete your bedroom set with a plush or firm mattress. Visit American Freight Furniture and Mattress to test out the latest mattress models. There are so many options for fun furniture packages for kids and teenagers. Make sure you buy something that will last for years, or that several children can use. For example, if you have bunk beds for two kids that share a room, consider buying two chests to meet their storage needs. If you have more than one child, consider a bedroom set that you can pass down from one kid to the next. Read our Kids’ Bedroom Ideas: Furnishing and Staging Edition blog for more tips and inspiration. If you’re on a tight furniture budget, upgrade pieces based on style and need. 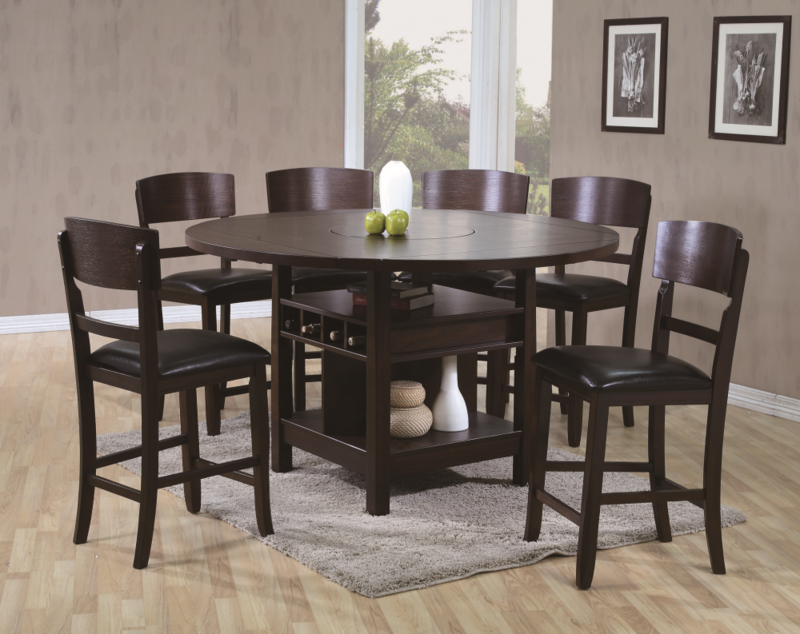 A spacious new dining set will add beauty to your home and make it more functional for your growing family. Measure your space! Don’t forget to measure the area where you want to stage a new sofa or bed before you purchase it. You don’t want to buy a piece that’s too big or small. Additionally, measure door frames so you can be sure to get the new furniture in your home with ease. Mix up the accent furniture throughout your home. Your new place will feel even fresher if you don’t stage it exactly the same as your former home. Buy new core pieces of furniture. You’ll be amazed how a brand-new sectional or reclining set can make your new home feel even more luxurious. Furnish Your Home for Your Family Under One Roof! Did you know you can get everything you need to furnish your home at American Freight Furniture and Mattress? We have living room furniture, bedroom sets, formal and casual dining sets, and mattresses. We even have kids furniture and accessories fit for the entire home. 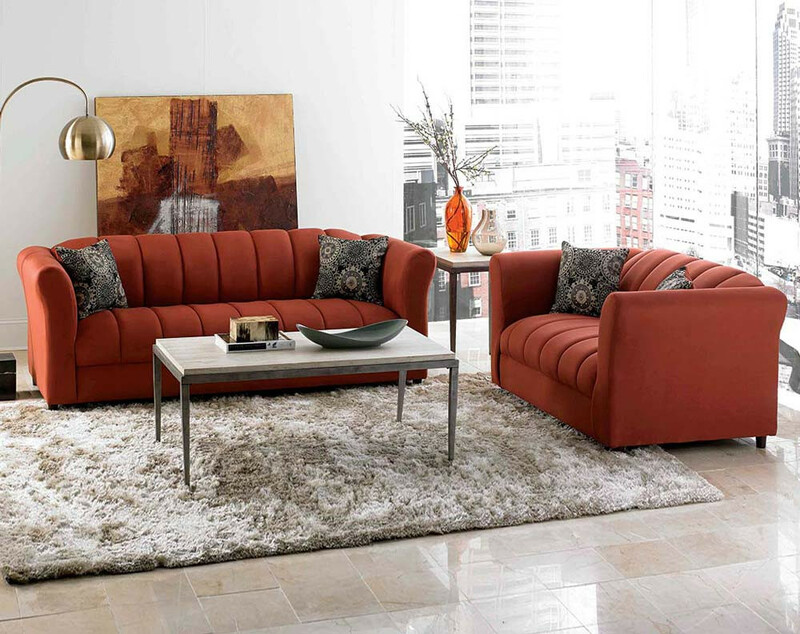 Check out our 7-piece living room furniture package starting at $398. We also have an 18-piece whole house of furniture package starting at $998. Click here to find a store near you! Thanks for reading the first of five posts in our Make a House a Home blog series! We hope you found some helpful tips and tricks to help you furnish your home for your family. Stay tuned for blog #2 on April 23rd! In the meantime, are you subscribed to the blog? Click the image below to sign up.